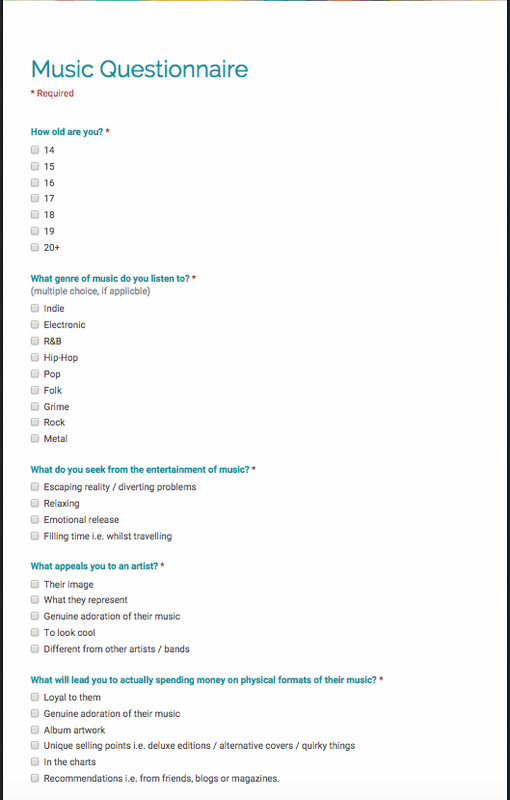 I created an online questionnaire and posted it online, under five minutes I got over fifty responses. From my followers online, I mostly have a similar age of followers from 15-20 year olds which is extremely helpful as that's my target demographic for my artist. These are the sort of questions that I asked, the results will enable me to shape the ideal target demographic for my artist.